All tracks mixed at Low Life. Mastered at The Exchange. Pressed at Damont Audio. 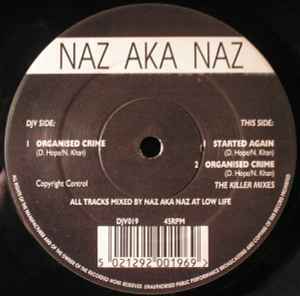 This original mix of Organised Crime found on this pressing is what it's all about for me. The remixes are just a bit too chipmunky. This contains no chipmunks. The Godfather theme and Al Pacino samples aren't to everybody's taste. But the solid, raucous triggering, layering and re-triggering of the well known Run's House break beat. Funky bass, serious, ominous, heavy hard hitting stabs and screeching synths more than make up for any cheese factor.